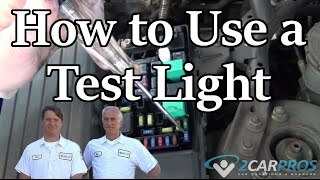 Easy to follow step by step guide on how to replace an automotive turn signal switch, though appearances may vary the process is similar for most vehicles. Step 1 - Start by removing the negative battery cable to help prevent electrical short circuits while the job is being done. Please visit our battery cable removal guide for further instructions. Step 3 - After the airbag has been removed the steering wheel is next, please visit our steering wheel removal guide for further instructions. Step 4 - Once the steering wheel has been removed, the clock spring must removed next, please visit our steering wheel clock spring removal guide for further instructions. Step 5 - After the clock spring removal, locate the column fascia pieces, this will vary and may not be needed for some applications. Step 6 - Simply grasp the pieces and remove them, they should pull right off. Step 8 - Once the top plate has been removed, inspect it for damage. Step 10 - Gently grasp the cruise control switch and slide it from the housing. Step 11 - Once the cruise control switch has been removed, check it for damage and corrosion on the electrical terminals. Step 12 - Loosen and remove the turn signal switch mounting bolt or bolts. Step 13 - After the mounting bolt has been removed, grasp the switch/bowl assembly and gently pull it outward to remove. Step 15 - Using a Torx or screwdriver remove the bezel mounting bolts from the turn signal switch. Step 16 - After removal of all mounting bolts, remove the bezel from the switch. Step 17 - The failed turn signal switch is now ready for replacement. Step 18 - Compare the new switch to the old unit, they should match identically. Step 19 - After inserting the new switch into the bezel, install and tighten screws by hand to avoid cross threading, tighten evenly. Step 20 - Before re-installing the new switch, inspect the steering column for damage or stripped threads. Step 21 - Gently place the bezel and new switch over the steering column. Step 23 - After pushing the switch into place, insert and tighten the mounting bolt. Step 24 - Next, re-install the cruise control switch (if equipped). Step 25 - Re-install fascia pieces. Step 26 - Once all fascia pieces have been installed, move the top plate back into position and gently lower it into the column. Step 27 - Once the top plate has been set into place, push the unit until fully installed, the clock spring, steering wheel and airbag can now be re-installed. When a turn signal switch fails it will cause blinker operation, brake light or fuse operation failure.